This past Saturday, a dozen students from Arkansas Tech University and the CCSC came out to camp to help us with some brush clearing. We had a couple chainsaws buzzing, several loppers snipping, and a few slingblades slinging. The brush had met its match! It really is amazing to me what can be accomplished by a few people working toward a common goal. In about half a day, we accomplished what would’ve taken Lee and I at least a week to complete. It is awesome seeing an area of the camp that is grown up and unusable be transformed into a clean, beautiful, useful place in such a short span. We plan on building a hiking trail and some walk-in campsites in this little secluded area by the creek. The past year or so, the water level in our little pond has been dropping. It seems that it doesn’t matter if the weather is dry or wet, the pond continues to shrink. 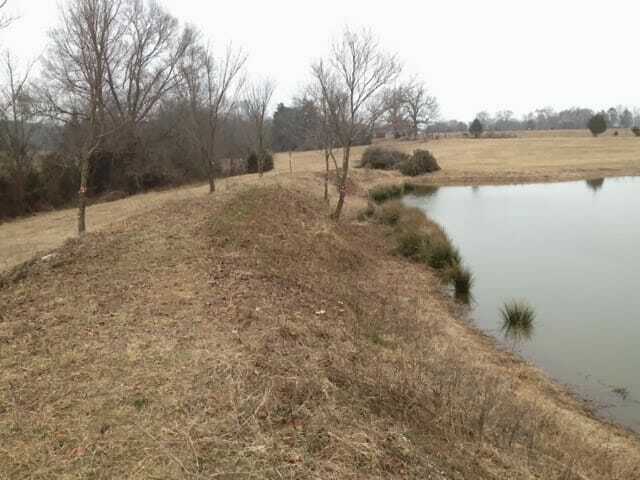 Well, after some poking around, I found several burrows that have been dug by various varmints in the levee that forms the pond. Also, last summer, our day camp kids had a fishing class in the pond, but did not have any real luck. So, on Saturday, we cleared the banks of all the overgrowth and tried our best to plug the holes with dirt. 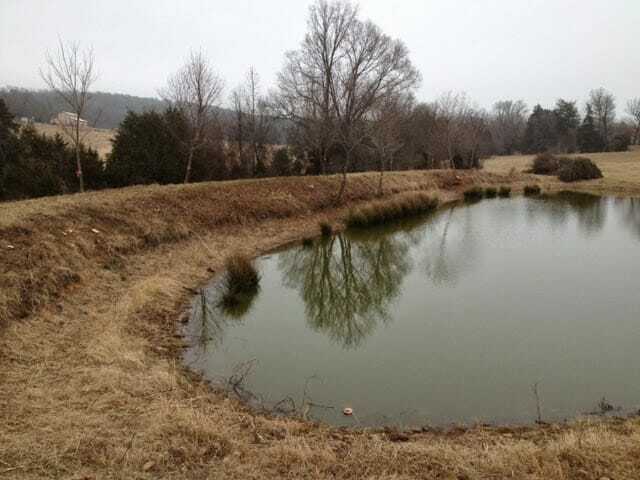 This spring, we are going to try and have the Arkansas Game and Fish Commission stock the pond with catfish. I think the Day Camp and Junior Week campers will love the opportunity to feel the pull of a fish on the other side of the line. You can see how the water level has dropped from its original level. Now the levee is cleared of all the brushy vegetation. Special thanks to Madi, Hannah, Carlee, Lance, Mason, Jenna, Joee John, Billy, Eva, Lauren, James, and Jarrod for giving up their Saturday to help out a good cause. I hope they had as much fun working with me as I did with them. I love those guys! But then we started talking about all the mountains that God had indeed moved for us personally in our lives. I know that there are several instances in my life when seemingly insurmountable obstacles were completely bulldozed by God. There is no other explanation. We need only to have faith…not in our abilities, not in our talents, not in people, not in technology, certainly not in prosperity…but in the Creator Of It All. If we have faith in Him, nothing will be impossible for us! I challenge you, as Josh and I challenged ourselves, to recall and write down those times when God moved mountains in your life. Sometimes they may seem like small deeds, sometimes they are huge interventions, but if we record those times when God revealed himself to us, I think we will start to see a pattern emerge. That pattern for me, and Josh said for him as well, is that when we are living FAITHFULLY, that is when God seems to come through for us in the most amazing ways.